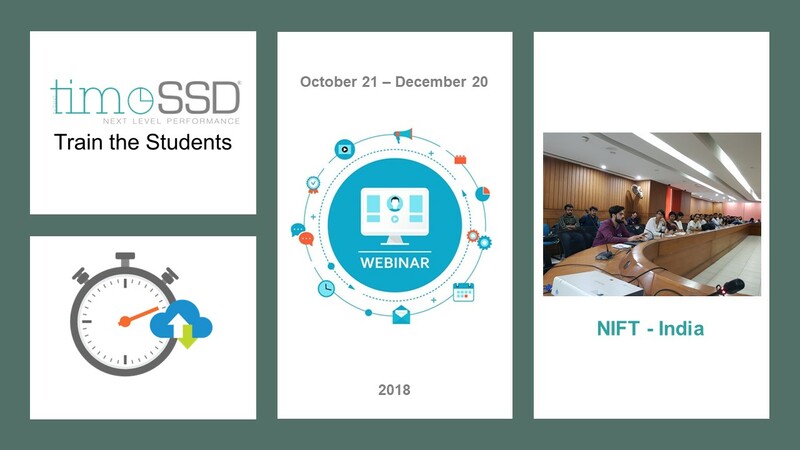 Between October 21 – December 20, 2018, take place the webinars based online training sessions with focus on motion analysis practices with timeSSD® to have the students’ knowledge perfectly industry ready. From January to April 2019 these students will be placed in different organizations in sync with NIFT project period. The students will carry out project with focus objectives of suitability of using timeSSD® for calculating SMV (SAM) of sewing operations in practical circumstances. The welcoming company will benefit having trained timeSSD student and complimentary use of timeSSD® software to explore its potential use in their organization. The student will be guided by timeSSD expert as well as NIFT faculty members during the project.